— You know.. The way she talked to me today… I probably offended her in some way last week or... did I? Imagine this; you walk into your office Monday morning full of energy and excitement to start your week. Everything goes smoothly, partners and clients are responsive, everyone is smiling at you. Sounds like a great day. On your way to the kitchen, you stumble upon the colleague. You find your relationships warm and supportive, but today she looks at you, doesn’t smile and walks away. How will your day go next? Honestly, how many times an hour will you come back to your friend in your mind? "Should I go to her office and ask what’s going on? Should I message her? Why is she avoiding me? Is that because of what I’ve said? Oh my… maybe she thinks I judge her for… or…"
How long will it take you to come up with something you’ve possibly done wrong and get a little bit upset about it? How long to get worried? How long to feel like you’re a terrible friend and no one will ever like you again?! For me, it’s less than an hour for the first one, a day for second and couple of days for a third. If you have ever been in the situation like this, you know how it is to take things personally. How much time of your life have you spent worrying about what someone else said, did, or how she approached you..? The hard truth: all that time was wasted. Because it had nothing to do with you. Just today in the shower I caught myself going through the same thoughts over and over again. It seemed my friend was cold to me. I was wondering what I did to provoke it. Why don’t I ask her for crying out loud?? She has so much going on; it’s insane how stressful she is, I cannot add more to it. And then it hit me. She has so much going on right now! Isn't it the reason why she seemed colder recently? She is just overwhelmed. Taking things personally is tightly connected to our ego. The ego wants to believe the world goes around me. Me. Me. Me. But the only thing the Earth turns around is the Sun, not you or me. Isn’t it great news? Definitely, but when you are involved in the emotional situation, it can feel very personal. Any situation is a teacher. Any challenge holds a valuable lesson or helps us remember our own wisdom. We're meant to feel emotionally involved so we can dive in and learn. If you feel emotional, it doesn't mean it is about you. It means your attention is drawn to a particular assumtion that doesn't serve you anymore. How else can we realize what negative ideas we hold on to if not through a particular experience? Challenges often merely reflect what needs to be transformed into light, what believes about the world and ourselves we need to change. Our human mind doesn’t always want to see it like this. It’s tight to significance (ego), to fighting, to survival.Our brain sees an attack in many things as it has been the human way of survival for thousands of years. But no-one tries to attack you anymore, they’re as scared and confused as you or me. I know it can feel offensive, painful. I know it hurts. Your fears are provoked, your heart is aching. Yes, there is a lesson you need to learn, yes, it's not always easy. But people involved are just playing their part, they are leaning as well. They are probably hurt too. The truth is: It ’s not about you. It can be hard to admit, but this fact is liberating. Think about it, anything that offenses you, has nothing to do with you! You don't need to doubt yourself, criticize yourself, spend hours repeating how you don't like yourself. It's not about ignorance. Admit your mistakes. Improve. Learn. But stop taking things personally. It is about self-love and spiritual growth. As we can't truly grow when we blame and disapprove of oneself. We can truly grow only when we stand in love and strength and light. And this is what I wish for you, and all of us. 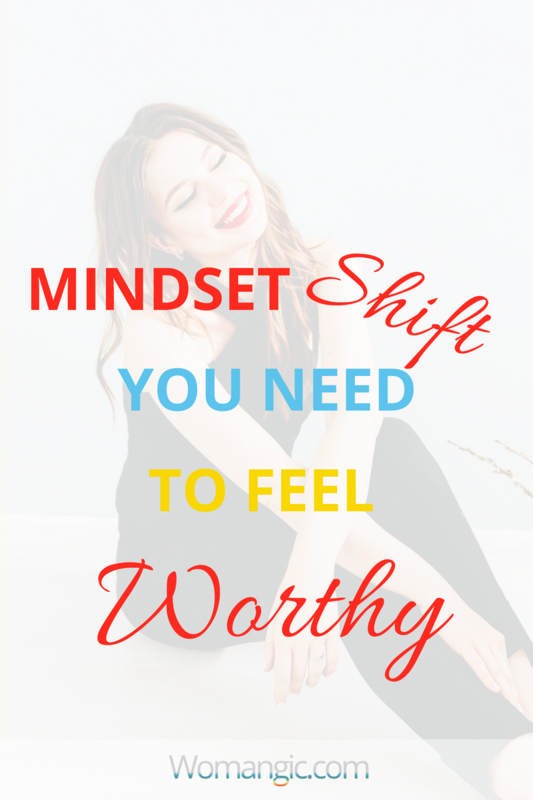 I truly hope this mindset shift helps! Let me know what you think! Do you have any special tricks that help you not to take things personally? Share with us in comments.